Rainstorm* uses the term 3D architectural visualization to explain both 3D rendering & 3D animation video for architectural representation. 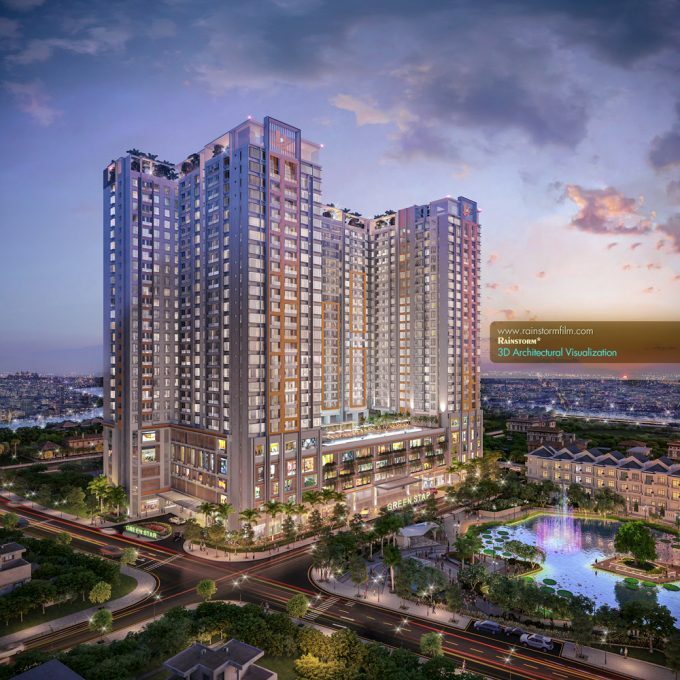 And as a reliable Vietnam 3D architectural visualization company (see our client testimonial here), we provide both 3D walkthrough animation services and production services that could best be used across different channels in sale & marketing. Furthermore, our unbeatable video production services comprise a mix of 3D architectural visualization and real live action to help explain better life style and deliver great mood of a true living place. And to this, we have received many great testimonials from developer, marketer, architect, real estate services firms among others. Likewise, we have an amazing portfolio with Casino, Entertainment, Amusement Parks, Water Parks as well as thousand hectares of urban plan for mixed new development. Whether you are new to 3D architectural visualization or you don’t know where to start, together we will bring your vision to life in 3D imagery. Contact us now to get started. Contact Video Production Service Company – Rainstorm Film. ← Quảng Cáo, Tiếp Thị Truyền Thông Và Xây Dựng Thương Hiệu Khác Nhau Ra Sao?